NO REHEARSALS THURS 18 AND THURS 25 APRIL 2019. BACK THURS 2 MAY 2019. Join us for our weekly rehearsal in Glebe, your first visit is free, just come along and hear what we’re currently rehearsing. You don’t even have to sing if you’re not feeling too confident. But with so many voices around you you’ll bound to start singing along. 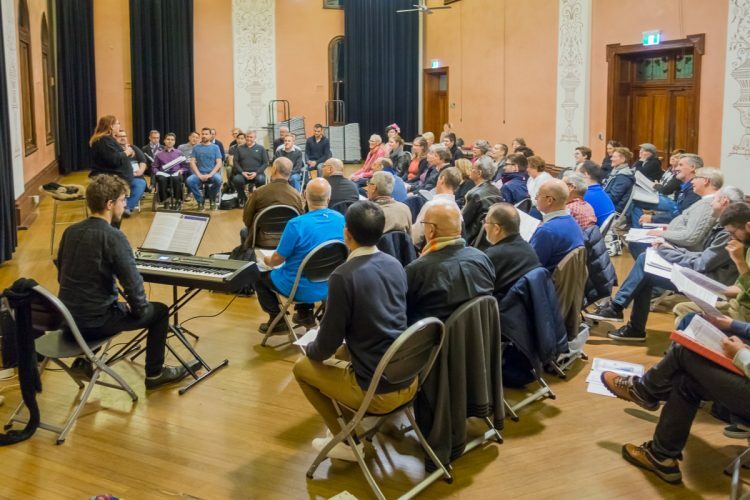 Find out more about what it’s like to sing with us or contact us for our exact rehearsal location.